Sir Peter Ogden’s 60-foot Mini Maxi Jethou (GBR) is the overall winner of the 2012 Rolex Volcano Race. 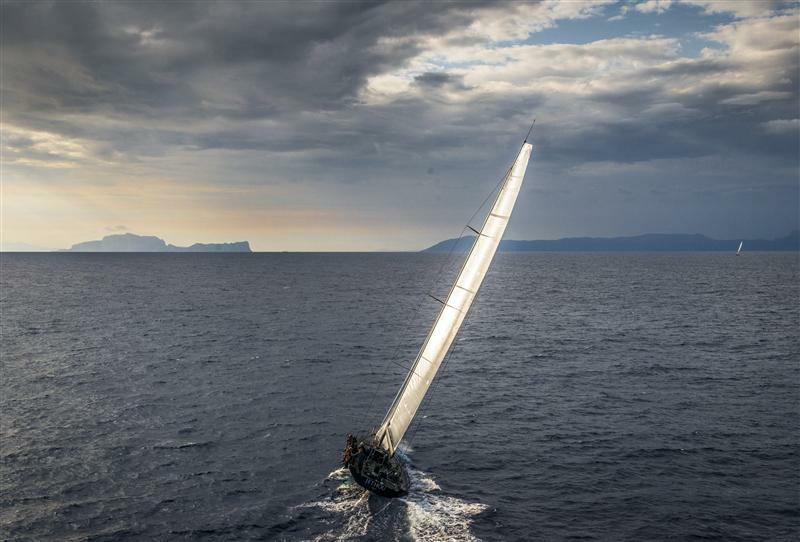 Jethou was the third boat to finish the Leg Two of the offshore race which concluded yesterday evening following a 300-nautical mile round trip from Capri through the Aeolian Islands. She ousted two titans of the water - the 112-ft Nilaya (BEL) and the 100-ft Wally Y3K (GER) - to win on corrected time by just under an hour and a half. It has been a fantastic week for the recently upgraded Jethou which performed impressively in winning Saturday’s windward/leeward race in Gaeta, southern Italy, before finishing second overall in Leg One of the offshore race, which ran some 100-nautical miles from Gaeta to Capri. These two races served as the prelude to the main event – the 300 nm Leg Two of the offshore race. For Ogden the success was an early birthday present ahead of Saturday: “I’ve done a lot of yacht racing and never won a Rolex race so after many attempts we are very happy!” Both Ogden and the crew’s professional tactician Brad Butterworth believe the significant changes made to the yacht over the winter have rendered her faster. “We got it about right, the boat is a lot more powerful, it is a surprise why she was underpowered before as she was designed as a Rán 2 (Niklas Zennström’s 72-ft Mini Maxi) scaled down but when you looked at her sail area to waterline length, Rán had a lot more power. Now we’re about the same,” explains Ogden. “It was very exciting,” reveals America’s Cup legend Butterworth. “At the back end of the race and during the start we noticed a difference when it was quite light as we’ve put a lot more power in the boat. She is a lot more responsive.” The acid test for the revised Jethou will come when she faces her Mini Maxi rivals in September at the Maxi Yacht Rolex Cup. Filip Balcaen’s Supermaxi Nilaya claimed line honours yesterday evening, completing the course in one day, two hours and five minutes. A reward for the crew’s impressive team work. Jethou will be awarded the coveted Rolex Trophy and timepiece during the traditional Rolex party at the iconic La Canzone del Mare, held on Friday evening. 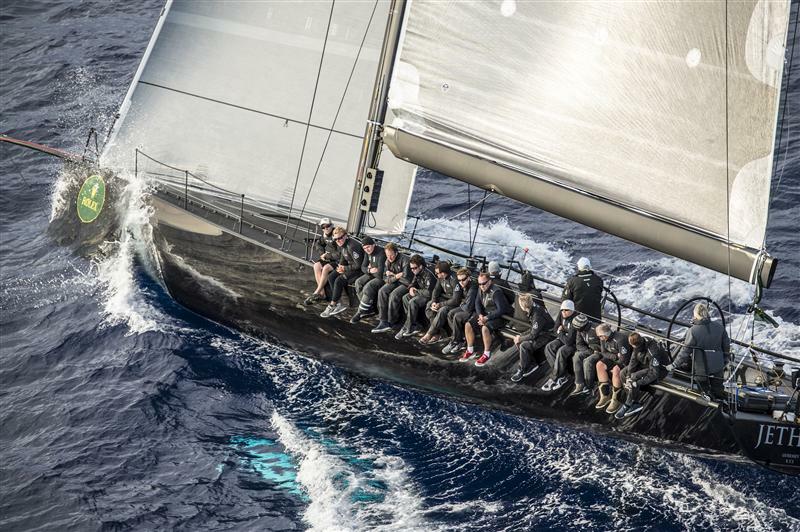 Nilaya will receive a Rolex timepiece as winners of line honours. 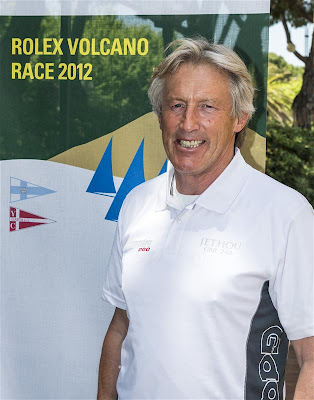 The 2012 Rolex Volcano Race has been characterised by the success of two yachts comprised of mainly amateur sailors led by a sprinkling of professional talent, and for whom excellent team spirit has been the key to their respective triumphs.